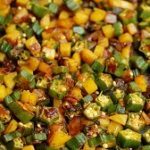 Easy Soya Manchurian recipe : Sour, sticky and sweet Manchurian is a mainstay of Chinese cooking in India. But this dish is not Chinese or an Indian one. Indian have taken some of the dishes from the dwindling Chinese Hakka community in Kolkata. They gave them their own mouth-watering twist to it and called a Chinese dishes in India. We may have eaten Manchurian dishes from hotels and small carts selling it. It may contain added color and prepared in a non-hygienic condition. 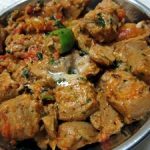 To solve the craving of soya Manchurian of my family members, I tried up many recipes and came up with an easy version of it. 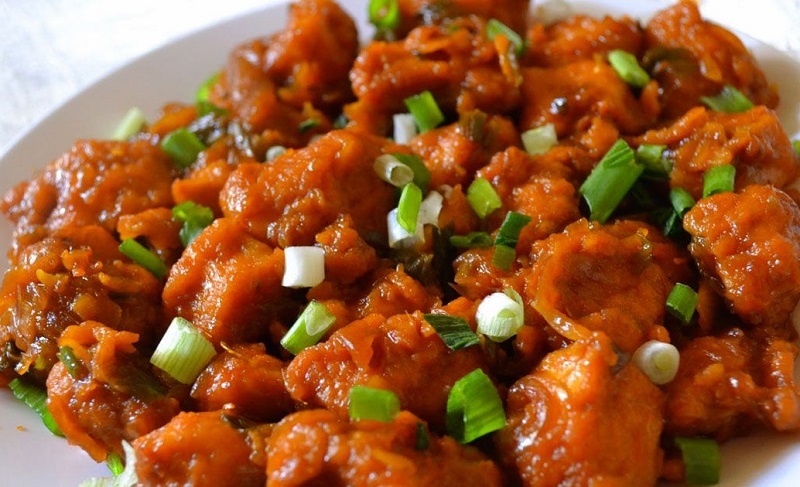 How to prepare Easy Soya Manchurian dish. One cup of Soya Chunks. 1 Capsicum chopped in to small square pieces. First step is to boil soya chunks. Take enough water to immerse the soya chunks and add salt into it. Put soya chunks into it and boil it. Once soya chunks are properly cooked and are soft, drain out and squeeze water out of it. In a small bowl, mix pepper powder, egg, salt, corn flour and water to form a thick paste. Next step is to fry the soya chunks. In a pan, add enough oil for frying. Now dip the soya chunks into the paste and fry it in the pan until it is crispy. In a pan, take the green chillies, onion, ginger paste, and garlic paste. Add enough oil in the pan to sauté it. Sauté well all the ingredients. Now add sugar, vinegar and capsicum into it. Sauté it for another minute. Now add tomato sauce and Chili sauce into the sautéed mix. Let the gravy boil. Ensure that salt is proper at this point. If required you can add more salt. Now mix the fried soya chunks into this sauce. Mix it properly and serve hot. You can garnish it with anything of your choice. Remove egg if you require a pure vegetarian version of it. You can add a tomato to have more gravy.